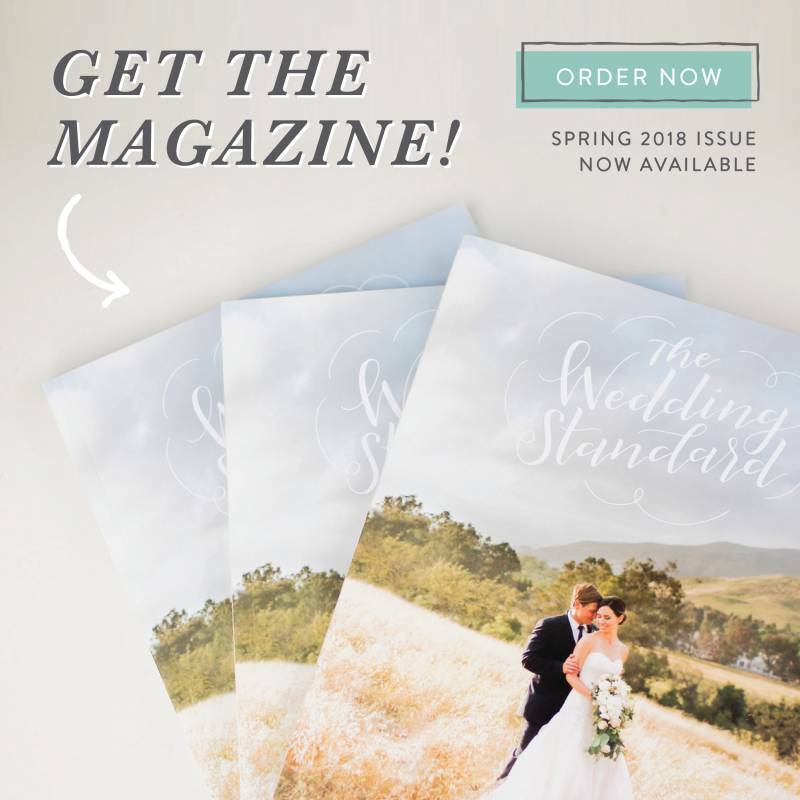 The Wedding Standard's first print magazine was released earlier this year and the pages were filled with all of the amazing vendors, venues, and wedding inspiration on the Central Coast! 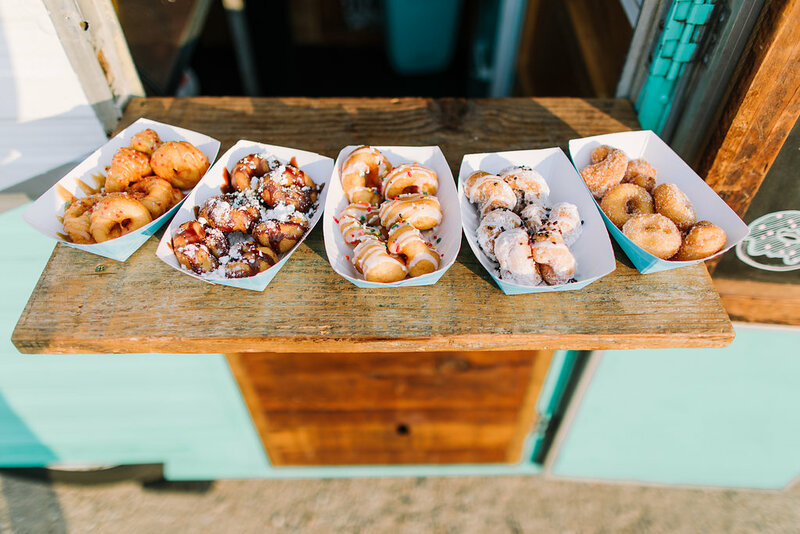 An article written by Ashley Philips featuring Sugar Lips Mini Donuts, the tasty little mini donuts that make any event better, followed up with a interview with the donut geniuses and creators: Ben and Jessica Brown. The photos for this shoot were captured by Jessica Sofranko of Lover of Weddings. Read on to hear all about what makes Sugar Lips so special! "WHEN I APPROACHED THE SUGAR LIPS MINI DONUTS STALL AT THE FARMERS MARKET IN SAN LUIS OBISPO, the scent of cinnamon and sugar pulled me in. I watched with greedy anticipation as owner Jessica Brown covered the twelve fresh, supple donuts in both powdered and cinnamon sugars. She handed me the bag, bottom heavy, warm, and full of the softest, tastiest donuts I've ever eaten. A few days earlier, I was sitting across from Jessica at a local coffee shop. The hubbub of the room was in stark contrast to Jessica herself. Dressed in a stylish yet conservative black dress, she looked every bit the professional, and nothing like how I picture bakers: apron-clad, covered in flour, hands full of pastries. Across from me, she fidgeted with her bangs - a signal she was not one for much animation - as I asked her about the Sugar Lips backstory. Was she always a baker? Did she grow up eating donuts every Saturday with a loved one, or did she and her husband share a first kiss over a plate of handmade donuts? Where did she find her recipe - perhaps a secret family formula? Jessica pushed her bangs behind her ear again. Nothing like that. Ten years ago, Jessica found herself roaming a farmers market in Oregon. It was one of those once-in-a-lifetime clandestine moments: there in front of her was a booth selling fresh donuts. The owners dropped the doughy discs into the frying oil, brought them out after they turned a dark golden color, and coated them in sugar in front of the throngs of people eagerly waiting for their own soft, warm donuts. There, at an Oregonian farmers market, Jessica knew she wanted to bring that experience home to San Luis Obispo. She recounted her business's origin story in a very matter-of-fact cadence, but her eyes glittered with the memory, as Jessica pushed at her bangs. "I just figured," she shrugged, "who doesn't like a warm, fresh donut?'" It was that thought which propelled her into her kitchen for a baking marathon. Jessica hadn't been a baker - professionally or even as a hobbyist - so she practiced and experimented, honing her recipe until it was perfect. And once she discovered it, Jessica brought her mini donuts and the signature made-to-order process to the SLO farmers market. For the first few years, though, she couldn't even give her donuts away. Whether it was a lack of name recognition or just the inevitable test of perseverance that all new businesses must go through, Jessica was unsure. Nevertheless, she persisted. Week after week, she and her husband kept setting up their table, until Sugar Lips eventually became a farmers market staple. These days, loyal fans drive from as far away as Fresno simply for a Thursday night treat from Sugar Lips. The appeal - beyond the delicious taste - is the sensory experience. Customers, wedding guests, and party-goers observe Jessica's donut-making process, hear the crackling of the oil, smell the donuts being fried and coated in sugar, and feel the warmth and weight of them in their hands. By the time the donut is popped in their mouth, it tastes even sweeter and more delicious, because every sense was teased. 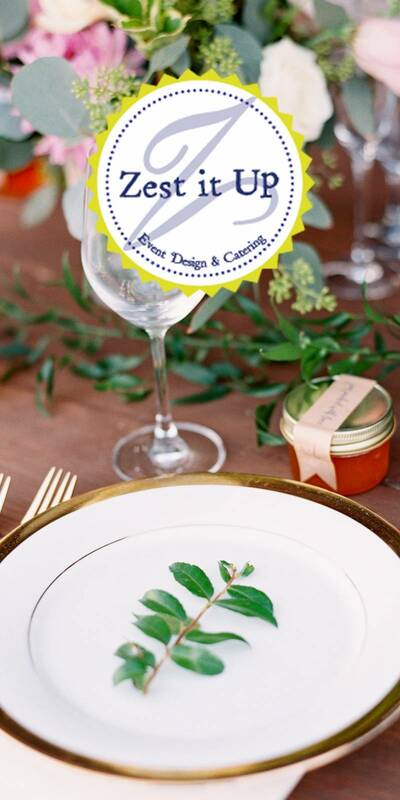 Once Sugar Lips became a more established component of the weekly farmers market, people began approaching her about catering for weddings and events. 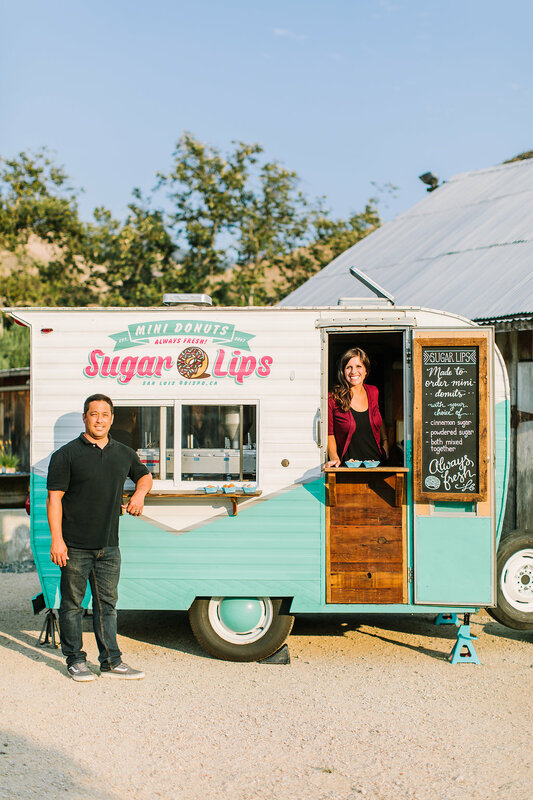 Her decision to take Sugar Lips on the road (literally - they often serve their mini donuts from a cute vintage trailer) would rocket them from beloved local celebrity status to a Central Coast wedding industry phenomenon. 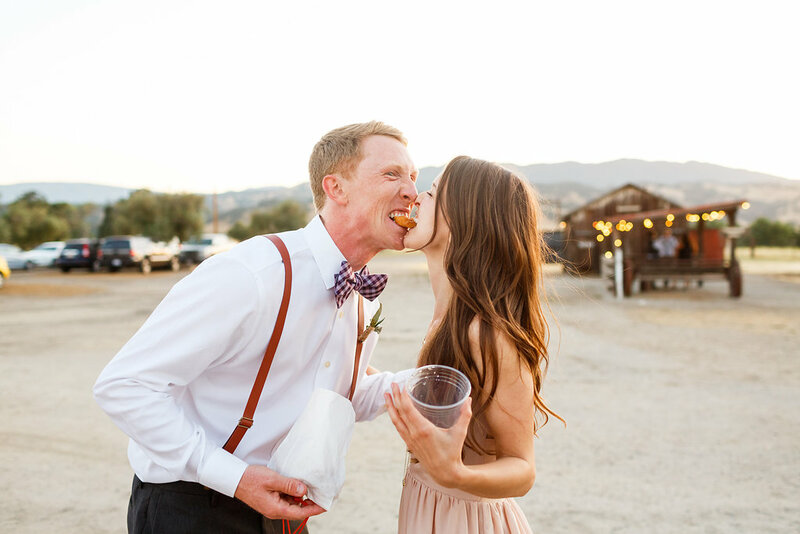 Jessica, relishing in the much-deserved success of Sugar Lips, admitted that she loves being a part of weddings, as well as the wedding community. "I just picture us as a fun addition," she said. "Not only do they get to eat our donuts, but they get to watch them being made. And we pull up in this cool trailer, see all these other vendors we know, and it's just a fun feeling of camaraderie. I love that." Now, thanks to inclusion in The Wedding Standard community, Sugar Lips is a preferred vendor for many of the area's venues. 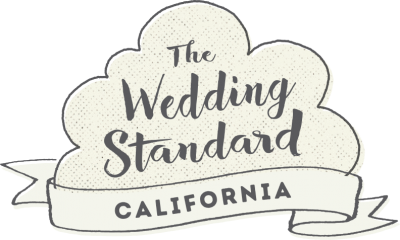 They're part of a thriving wedding microcosm, bringing sugar-crusted smiles to brides and grooms, wedding guests of all ages, and event-goers across California's Central Coast."